Topper Wire Harness There are	2 products. One complete 1961 & earlier Topper Wiring harness..This harness is a very nice reproduction with correct cloth wiring & tracers,shielding & is ready to install.Note: This complete harness has each wire tagged which eliminates the guess work from the installation equation. 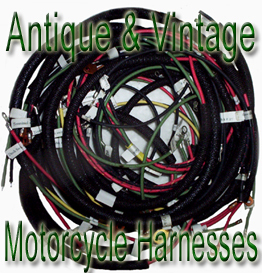 One complete 1962 to 1965 Topper Wiring harness.Fits: A,AH,AU.This harness is a new reproduction with correct cloth wiring & tracers,shielding & is ready to install.Note: This complete harness is tagged which eliminates the guess work from the installation equation.